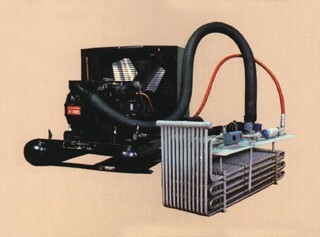 Three horsepower, air cooler chiller used to cool light oil for honing machines by an OEM. Flexible hoses allow the coil to be removed from the reservoir for cleaning without moving the condenser. All coils are made of stainless steel.